The Sound: Lush analogue pop with a dark edge; sultry, haunting vocals and lyrics ranging from satirical to philosophical. The fruits of being earnestly enraptured by music creation. All sounds, programming, lyrics & vocals by CMC except where otherwise noted on this page. 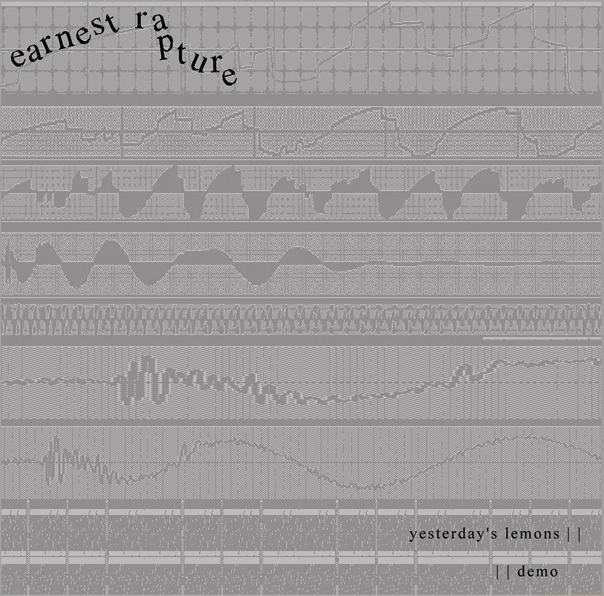 The Story: Earnest Rapture was founded in 1998 by Marco Carreira and Cara Mia Ciasulli, before we had a computer or any recording equipment. We made sketches of songs on crappy old keyboards and wrote down the hooks in a book. In 1999 Marco left in the most unfortunate way possible (committed suicide with the cord to our Korg...), so Cara saw to it that all sketches were finally produced. She learned everything she needed to know (well, to start) about computer recording: acquired a Juno 106 / first-generation Mac dual-processor / MOTU Digital Performer / MOTU 828 and set out to complete Yesterday's Lemons E.P. - the core essence of which contains the spirit and sound that her and Mark had originally set out with dreams of releasing. There is a new Earnest Rapture project in the works.